Dr. Diane Perez is an internationally-recognized physician, medical journalist, author, news anchor and television host. Her programs have been part of the Televisa network for over 22 years, airing in Mexico, the Unites States and all of the Spanish-speaking world. Dr. Perez is the creator, producer and host of the television program “Cuide su Salud” (Take Care of Your Health). She is the medical correspondent for the morning show Al Aire and the afternoon news show, A Las Tres. She is a monthly contributor for AARP en español and participates as an occasional news anchor in Univision. In 2011, Dr. Perez published the book, Cuida Tu Salud (Take Care of Your Health), providing detailed descriptions of more than 200 diseases in lay terms to the general population. In January 2017, Penguin Random House launched her second book on healthy habits to stay slim. Her website www.cuidatusaludcondiane.com serves as a resource to Spanish-speaking individuals around the world. Dr. Perez received her doctorate of medicine from the Anahuac University. She has received numerous awards for her work as an advocate of healthy living, patient awareness and safety. Dr. Priscilla Ibarra is a renowned dermatologist with a private practice in Tijuana and Mexicali. 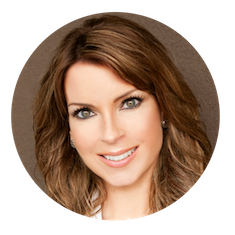 Recognized for her expertise in cosmetic dermatology, Dr. Ibarra is always up to date with the latest in skincare, clinical updates and rising trends. Born in San Diego and raised in Tijuana, Priscilla attended high school at the Academy of Our Lady of Peace and continued immediately afterward with medical school at the University of Baja California, pursuing her dream to follow her in father’s footsteps to be a doctor. Her passion for dermatology later led her to specialize at the Dermatology Institute of Jalisco. She continued her studies with fellowships for dermatologic cancer surgery in Mexico, cosmetic dermatology in Argentina and dermatologic laser surgery in Spain. 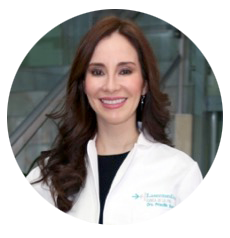 In addition to running her private practice, Dr. Ibarra forms part of the Mexican Academy of Dermatology and teaches Dermatology at the Autonomous University of Baja California. As a professor, Dr. Ibarra brings her expertise to the next generation of medical students by applying their skills at different orphanages and retirement homes in Tijuana. Dr. Ibarra and her husband Felipe, a restaurateur, enjoy the region and all that it has to offer. Patricia Robinson R.N. worked at Scripps Mercy Hospital for 35 years. 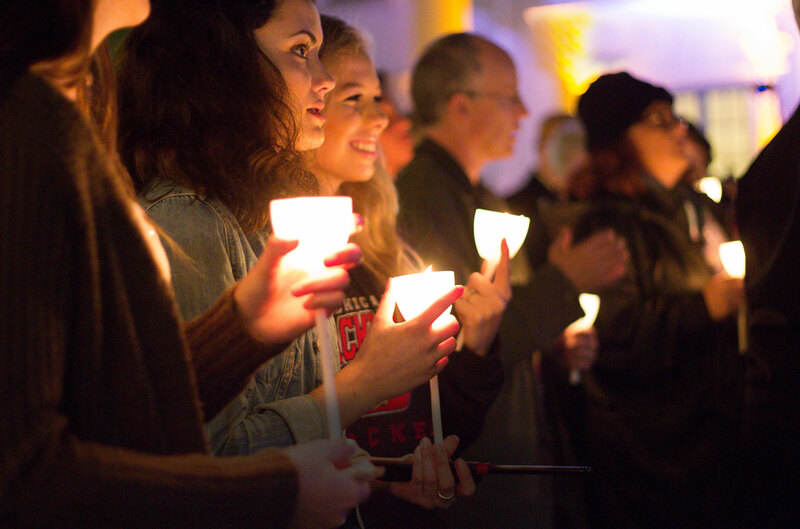 She and another nurse were instrumental in founding the Mercy Outreach Surgical Team. A surgery team that goes to Mexico to care for children who have cleft lips, cleft palates, hernias, crossed eyes and other conditions that can be corrected in an out-patient setting. The team has cared for over 12,000 children and adults in their many programs in Mexico. Pat has made over 45 trips to Mexico with the team. 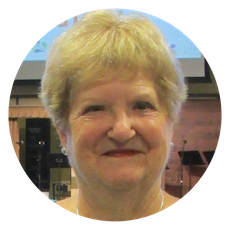 She served as the coordinator of the program from its founding in 1987 until her retirement. She continues to be very involved as an active volunteer in the program. She is very passionate about caring for children with visible deformities that can be corrected in sometimes just an hour, giving them a chance to have a better life. Panelist: Laura van‘t Veer, Ph.D.
Laura van ‘t Veer, P.hD. is a Professor of Laboratory Medicine at the University California San Francisco (UCSF). She is the Program Leader of the Breast Oncology Program and Director of Applied Genomics with the UCSF Helen Diller Family Comprehensive Cancer Center. Laura van’t Veer is also co-founder of Agendia Inc (Irvine, CA) and serves as its part-time Chief Research Officer. Dr. Laura van‘t Veer is one of the world’s leading innovators in cancer diagnostics and is widely recognized as a pioneer in the field of personalized medicine. She has a 25-year track record in molecular oncology research, which includes more than 250 scientific publications and prestigious awards for her contributions to a breast cancer care. 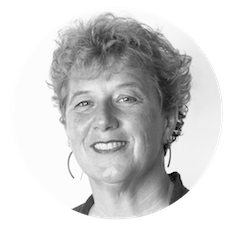 Dr. van‘t Veer is best known for work originating from a discovery she and her team made at the Netherlands Cancer Institute (NKI). They established that a specific 70-gene activity signature distinguished whether breast cancer tumors had a low or high risk of recurrence. After patenting their innovation, she co-founded Agendia and launched the MammaPrint® test. She was awarded a 2014 European Union Prize for Women Innovators that acknowledges the ways MammaPrint has helped transform breast cancer care. In 2015, the European Patent Office (EPO) recognised MammaPrint’s impact on breast cancer diagnostics by honoring Dr. van ‘t Veer with a European Inventor Award. Her research focuses on personalized medicine, to advance patient management based on knowledge of the genetic make-up of the tumor as well as the genetic make-up of the patient. Her current research is aimed to understand the molecular basis for favorable response to therapy. 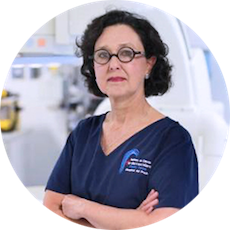 Dr. Patricia Aubanel Riedel was born in México. She received her M.D. from UNAM National Autonomous University of Mexico, and continued her education in internal medicine, advanced interventional cardiology and advanced stem cell research and therapies. She was the primary doctor and cardiologist for Mother Teresa of Calcutta for the last eight years of her life, intervening on Mother Teresa’s heart three times with coronary angioplasty and stenting. She is also the founder and director of “The Mother Teresa Cardiovascular Institute” at Hospital Del Prado in Tijuana, Mexico.